Two-Factor Authentication is now available! Here at MabiPro, we greatly value security and we know our users do too! This is why we developed a secure Two-Factor authentication system that allows you to ensure that your account is used by you, and only you. The Two-Factor authentication system can be used by every account, but please note that it is optional. You are not forced to use Two-Factor authentication. We highly encourage you to use it if you are a figure of high interest, or if you just value the utmost security for your account. Two-Factor authentication is an added layer of security for your account. Instead of just requiring a single password, the Two-Factor authentication system requires a unique time-based security code generated by a device that you possess as well as your password. This means in order to login to your account, you'll need your password as well as the 2FA device of your choice. This affects your forum account and your in-game account - both will require your 2FA device to sign in to. This greatly increases your account security, as it makes it impossible to steal your account without stealing your 2FA device. How do we use Two-Factor authentication? Since it isn't obvious on exactly how to enable Two-Factor authentication, you can follow this conveniently written tutorial below! To use Two-Factor authentication, you will first need a time-based RFC 6238 compliant Authenticator application. The two most common and easiest to use Authenticator apps are Google Authenticator for Android and WinAuth for Windows. These are the only tested Two-Factor authentication applications that we've used, but anything that is RFC 6238 compliant should work just fine! Now that you have a 2FA app that is capable of TOTP, let's enable it on our account! The next step is to enter Account Settings, enter in your current account password, then scroll down to the Two-Factor authentication section. 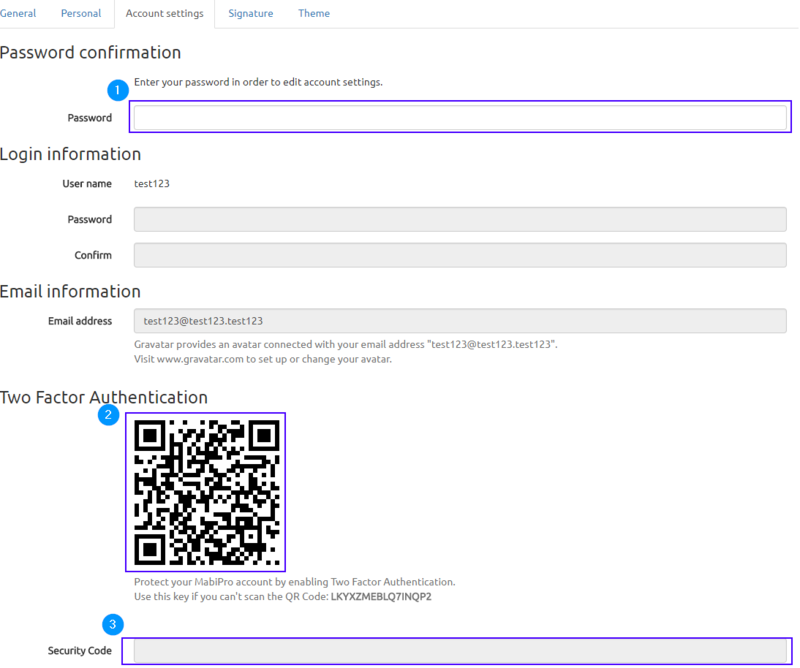 Once you are at the Two-Factor authentication section, you should scan the QR Code or manually enter the key provided to you into your Two-Factor authentication app. DO NOT SHARE THE QR CODE OR MANUAL ENTRY CODE! Next, enter in the 2FA Code that your application generates into the Security Code text box, then click Save at the bottom of the page. After sucessfully saving, you will now have 2FA enabled on your account! If you ever want to disable 2FA, just follow roughly the same steps and check "Remove Two Factor Authentication from this account". We hope you enjoy this new security feature as much as we do! Wooohooo ! ! it's optional! Just because it's optional doesn't mean you shouldn't use it! If you value your account, anyways!